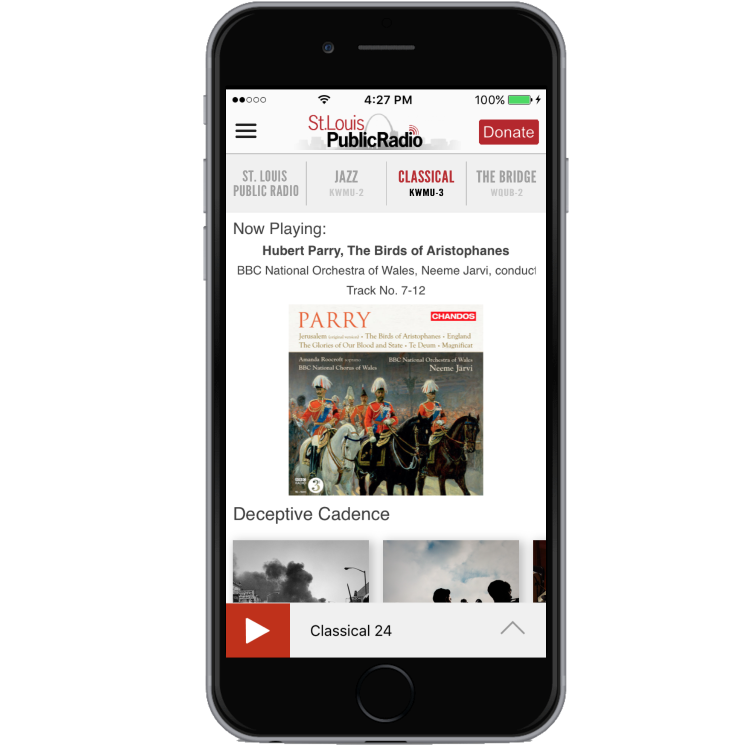 We build great station branded apps for Public Media. We all know that mobile is an ever-increasing means to reach your audience. Every new Pew Research study shows the trends in mobile accelerating. It's your station's new tower. Are you ready to go mobile? If so, you've come to the right place. 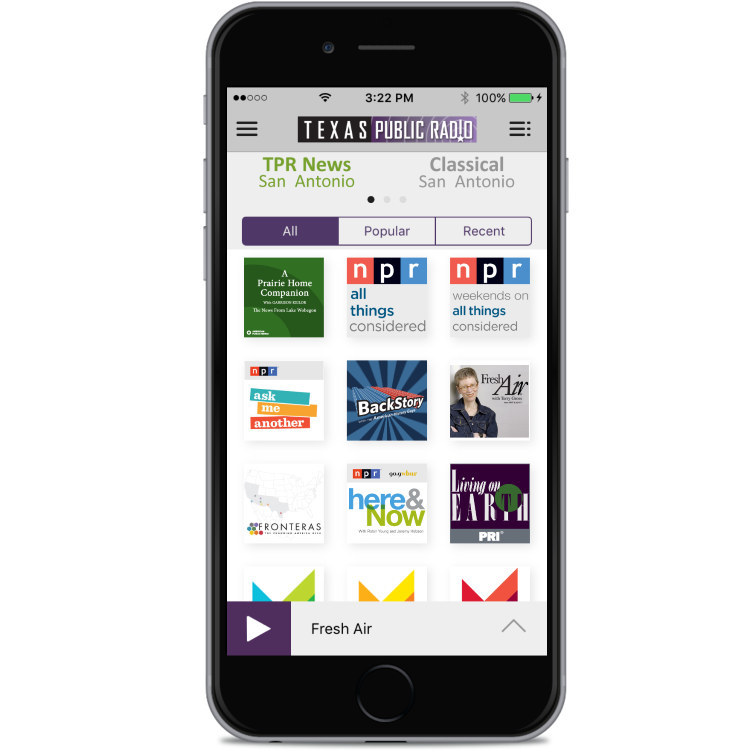 We are Public Media Apps and we build station branded apps for Public TV, Joint Licensees and Public Radio. We think and focus on one thing only: Public Media. We know Public Media and it's all we do. Our goal is to connect you to your members, listeners and viewers on the devices that they love and can't seem to live without. 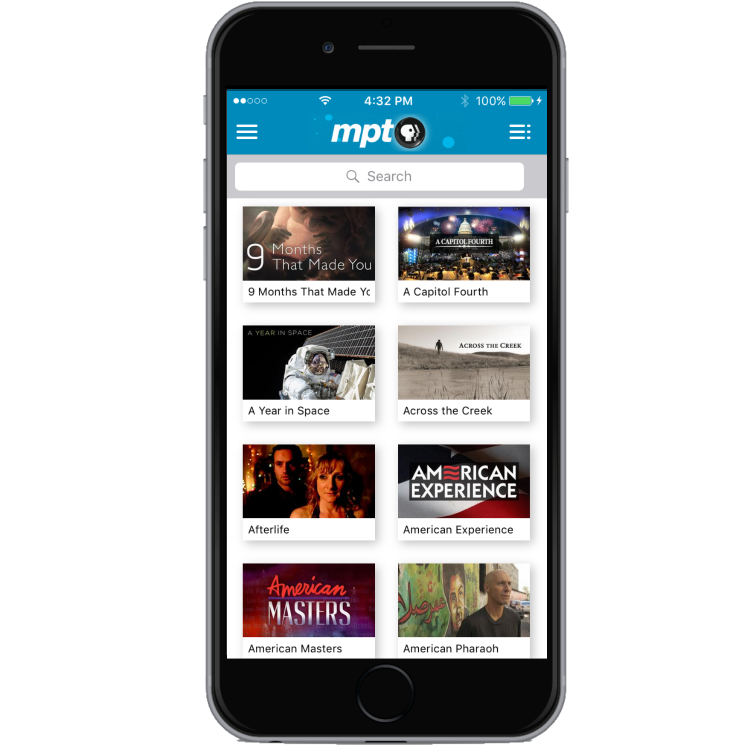 Integrated with NPR's API, PBS' Media Manager and tools to connect to your CMS, Public Media Apps has learned what works for Public Media. Serving more than 150 stations today, we get it and we'll make it easy for you while being efficient and affordable. We are the software company-not you! How do we do it? Stations. Our apps are built from the expertise and experience of our clients. And our business model allows everyone to share everyone's great ideas without a penny more. Public Media Apps charges a single yearly fee. No other charges for changes or feature enhancements. Your app is a true representation of your station. That means you have choices. You choose how you'd like the layout, you choose what and how content is seen, heard and read by your users. We work with you every step of the way to make your app the right app for your station. And content is controlled from the server, so you can change your content as frequently as you like without having to release an app update! Advanced underwriting opportunities featuring full screen takeovers, video and audio prerolls, banners and more create LOTS of new underwriting opportunities. Served from your DFP account or our free server, each channel can have a unique underwriting structure. Many Public Media Apps clients create more than 20 new underwriting opportunities and can more than pay for their apps utilizing the new real estate. How important is good live streaming? It's everything. Public Media Apps hand crafted our streaming engine from the ground up to ensure that streaming is as perfect as possible. With metro-area congestion and rural area weak coverage, streaming is always a challenge, but no app does it better. With automatic "down-shifting" and "up-shifting" between bit rates, our apps make sure that you deliver the best fidelity possible within the available bandwidth. We serve over 150 stations today, all in public media - it's all we do. We’d love to work with you and build your app to extend your station's reach to your listeners, viewers and members - on the devices they can’t live without! Or let us know how we can help your station via email.